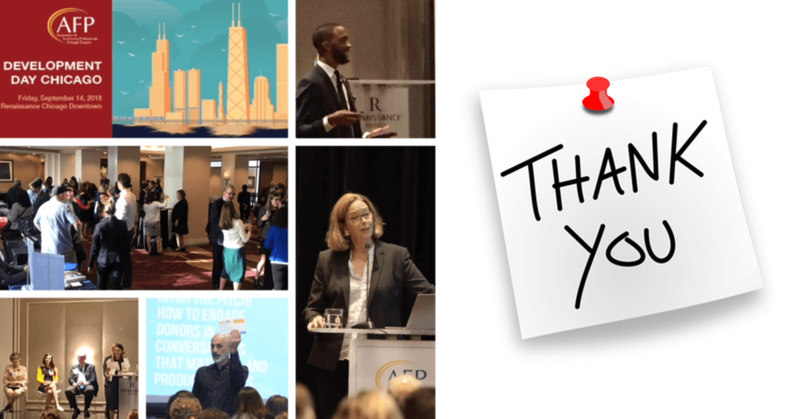 Thank you to the talented, dedicated volunteers, sponsors, speakers and attendees, all of whom collectively made Development Day Chicago 2018 an extraordinary event and one to remember! Attendees gathered at the Renaissance Chicago Downtown Hotel during our day of education and networking. There was so much to soak in as we moved through the day. We were honored to have the one-of-a-kind Penelope Burk kick off our day with a truly one-of-a-kind presentation. Penelope engaged, enthralled the attendees and provided so many unforgettable takeaways; "Being worthy is insufficient", "It takes 7-12 touch points to acquire a new donor. Invest in marketing!" After the keynote, attendees chose from four focus tracks to design the perfect day to strengthen their fundraising skills: Disruption in the Field, Transformative Tech, Solicitation Shake-Up, and Executive Leadership. The covered topics were comprised of tactics to help you thrive in a constantly changing fundraising climate and to immediately impact your work. The day ended on a "high note" as participants gathered for the Development Download Reception to network and enjoy some wine and light appetizers. Click here to view a few highlights from the program and to view the photo album. 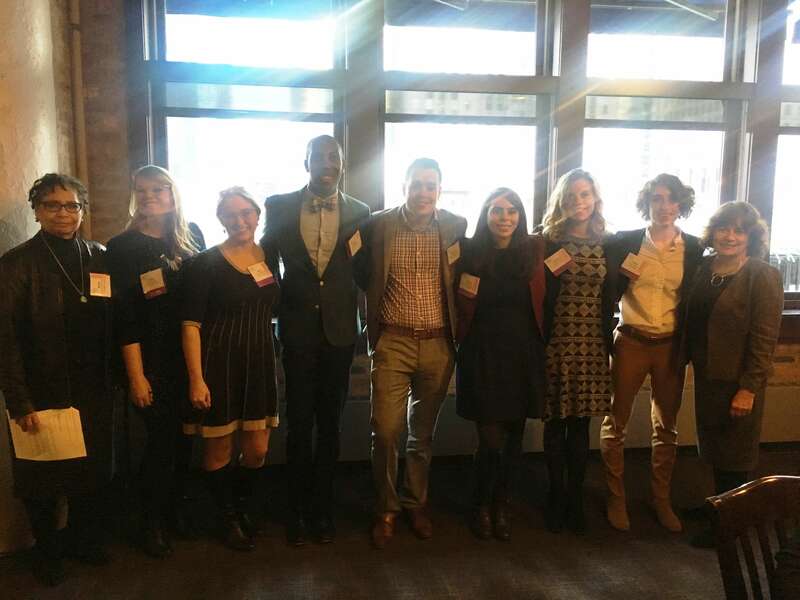 Submit a 2019 AFP Chicago Fellows Application Today! Applications are due by Monday, November 7, 2018. 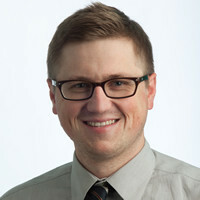 The AFP Chicago Fellows Program connects new colleagues to AFP thought-leaders and resources in a dedicated, small-group setting. We designed the program especially for fundraisers with five years of professional development experience or less who represent diverse communities, and work in small shops and grassroots organizations with demonstrated need for support. The members of the 2018 Committee on Directorship are pleased to present the slate of Officers and Directors for election at the Annual Meeting on Friday, December 7 at River Roast. Click here to view the 2019 AFP Chicago Slate. Join us for a Pop Up Program to discuss effective stewardship strategies to win over any donor. During this program, we will examine the questions: how do you get your donors to give again and how do you make them feel good about their giving. Register Today! This session will report national donor giving statistics along with how individual nonprofits can use the Fundraising Fitness Test to learn about their donor retention performance and discover actionable options to increase fundraising results at a faster pace. The Fundraising Effectiveness Project (FEP) is an AFP research project now in its 12th year with actual giving data from more than 12,000 small- to mid-size nonprofits and more than 100 million gift transactions. This rich database enables nonprofits and their fundraising staff to compare their own performance against national benchmarks for improved results. Join us for a Pop Up Program discussing ways to spice up your Giving Tuesday approach. Join AFP Chicago for the Annual Meeting of the Membership. We will celebrate the graduation of our 2018 Fellows and present our 2018 President's Award. The election of the 2019 Officers and Directors will also take place. You have to be there to network with the best in Chicagoland fundraising! Know someone awesome? Nominate them! For over 40 years, AFP Chicago has honored the committed, passionate individuals and corporations who work on behalf of the nonprofit organizations that AFP Chicago serves. Our annual awards program, the "Faces of Philanthropy" luncheon, recognizes the outstanding achievements of these individuals, foundations and corporate philanthropists, fundraising volunteers, and fundraising executives. AFP Chicago is pleased to honor individuals who demonstrate high ethical standards and exemplify the philanthropic spirit of our great city. 2019 Faces of Philanthropy Awards Nominations are due today! We always aspire to bring you, our valuable member, the best resources we can. In order to accomplish this, we need your feedback. Please consider taking our short five-minute membership communication survey for a chance to win 1 of 4 $25 gift cards! We invite your honesty and assure you your answers will remain anonymous. We value your feedback! Introduce your colleagues to the benefits of belonging to AFP! Whether you're looking for new ideas to take your fundraising to the next level or want to give your career a boost with CFRE credentials, AFP Chicago membership will help you reach your goals! To promote membership, AFP is offering a $50.00 discount to new members joining in the Professional and Associate Member categories in honor of National Philanthropy Day. The discount is valid from October 1st through November 30th. Help us spread the news about AFP Chicago to your friends and colleagues. Invite a colleague to join AFP Chicago and let's show them how a membership can deliver the knowledge, networking and resources we all need in today's environment. Announcing a November Networking Opportunity! Meeting up with your colleagues in fundraising has never been easier! Networking is an important part of being an AFP member. This is where we nurture and grow our relationships with other fundraising professionals. In partnership with Campbell & Company, join our AFP Chicago Board President, Melissa Berliner, and come prepared to share and discuss a beautiful moment you've seen in our industry as well as the biggest fundraising obstacle you face. Door prizes given to the first 10 people there. Continental breakfast will be provided. Space is limited! Did you know that hundreds of fundraising professionals received scholarships to attend international conferences and other fantastic training opportunities this past year - all thanks to BE THE CAUSE, a joint campaign of the AFP Foundation for Philanthropy and AFP chapters across the U.S.? One of those professionals was AFP Chicago's Betsy Rubinstein, whose Chamberlain Scholarship made it possible for her to attend AFP's International Conference for the first time. "It was a pleasure to be a Chamberlain Scholar for the AFP Chicago Chapter at the 2018 International Fundraising Conference, April 15 - 17 in New Orleans. The conference was three days long and was full of meaningful opportunities to learn, network, be inspired, and receive support from experts in the fundraising field." Scholarships are just one of the many ways that AFP Foundation supports the professional development community. Make your gift today!